We’re baaaack! One of NYC’s hottest tickets is returning to the Arlington Cinema & Drafthouse for another weekend of cartoon, cereal and brunch cocktail fun! Coming off a six year, sold-out run in Brooklyn, we’re bringing your favorite childhood cartoons to experience on the big screen while dining on the Drafthouse’s delicious food and drink menu. Do you miss your childhood Saturday mornings of waking up early to gorge on cereal and cartoons? 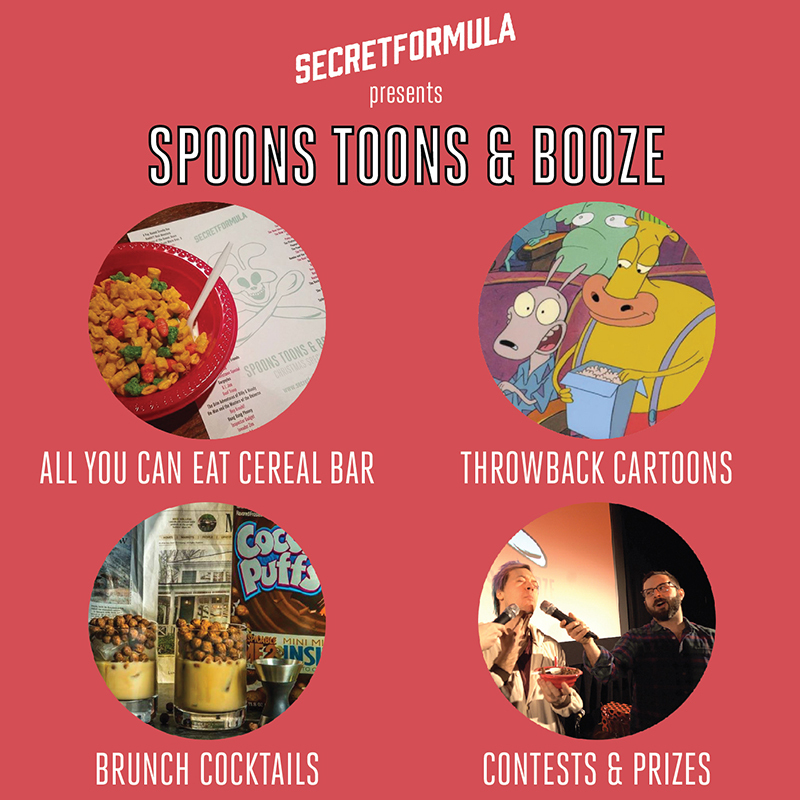 If so, SecretFormula has the ultimate brunch for the kid in you…Spoons, Toons & Booze! We’ve got all your favorite Saturday morning cartoons, delicious cocktails and a free all you can eat sugary cereal bar. Hosted by SecretFormula's Michael Austin and Nell Casey! – Compete in onstage contests to choose which cartoons we watch and win retro cartoon- and cereal-themed prizes and more!